The demand for crawler cranes remains highly influenced by resurgence of construction activities across both developed as well developing regions. Considerable growth in power distribution industry in combination with rising demand for port maintenance activities are likely to impact sales of crawler cranes in the upcoming years. Infrastructure refurbishment projects have gained significant momentum on back of burgeoned investments, triggering demand for heavy machinery and construction equipment such as crawler cranes. Mobile cranes are also extensively sought-after in various projects, including shipping, oil & gas, rail and road building, and power plant constructions. Combined spurring rate of industrialization and urbanization, it’s not surprising that the sales of crawler cranes will remain buoyant in the forthcoming years. Manufacturers of crawler cranes are also directing efforts toward making their offerings more user-friendly by integrating bespoke technologies. Has the demand for crawler cranes in Europe become highly ‘value-based’? Demand of crawler cranes in almost every developed region, including Europe, is becoming value-oriented, owing to the complex requirements of diverse projects. This trend has become highly evident across both core as well as industrial infrastructure sectors, wherein the demand is being closely characterized by valued requirements. On the basis of size, the demand of high capacity crawler cranes is getting firmer across Europe and is likely to carry promising aspects ahead. Also, the crawler cranes manufacturers are observing sky-high demand for medium capacity cranes along with the high capacity ones, which is likely to encourage manufacturers to ameliorate the efficiency of the aforementioned machines and make them sales-ready. Which are the key end-user trends manufacturers of crawler cranes should take into consideration? 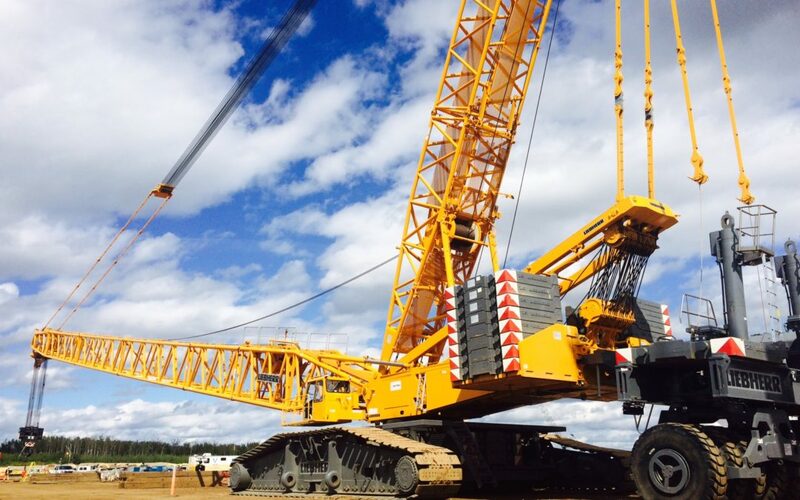 In a bid to accommodate the needs of diverse applications, end-users opt for crawler cranes possessing capabilities of offering high lift capacity, small working footprint, and long working radius. As per the target application, the pick and carry capabilities of crawler cranes are also acknowledged as a crucial factor amid the end-user marketplace. Unparalleled ease of transportation remains one of the key value propositions expected by the end users of crawler cranes. The end user trends depict an extensive focus on weight reduction, which translates into the inclusion of fewer components on a single crane, resulting in longer transport duration and increased wear and tear. In order to deal with this, the manufacturers are paying close attention to uniform weight distribution and routine-based servicing of the cranes for the minimal inconvenience at the user end. What are the differential strategies employed by rental companies to keep up with evolving equipment rental trends? The equipment rental business is witnessing numerous opportunities, with both businesses and customers turning to rental services at economic costs. With the demand for rental equipment approaching its peak, the rental companies are vying to upgrade their capabilities for handling complex projects that entail international fleet transport, bulk equipment, complicated forecasting, and tight budgets. Multiple companies are making headway with a combination of business and consumer rentals and strategic collaborations with third-party partners as well as suppliers. Traditional rental companies are incorporating online and mobile application frameworks, wherein order placements, communication, and POS payments can be seamlessly managed 24/7, irrespective of the location.